It’s impossible to find a Christmas treat that is easier to make than this. Take some fat pretzel sticks and set them in melted chocolate. It will be even more creative if you roll up the chocolate-laden stick in some cookie spritz for a bit of flair. 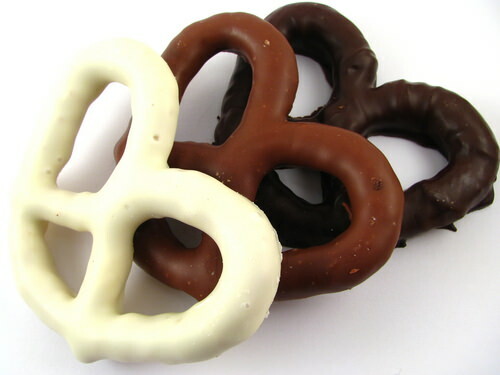 Put the pretzel on a piece of wax paper and when the chocolate hardens a little fold the treats up for family and friends to enjoy.